We are much more than a school district - we are a vital part of a community. Learn more about the City of Holbrook and its surrounding attractions. 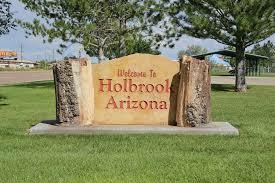 Holbrook is a community rich in History, Family Values, Diverse Landscapes, Recreation, and Friendly Neighbors. Everything you are looking for in a home town. For almost 90 years Route 66 has been more than an asphalt two-lane highway, it remains a lasting part of American history thanks to the hearts and souls of its people.